The family that owns the SC Johnson company paid $10.61 million for a condo at the newly completed Muse Residences in Sunny Isles Beach. A wealth management firm tied to the Johnson family, which controls the Racine, Wisconsin-based household cleaning products company, bought the 5,431-square-foot unit 4301 for $1,953 per square foot, records show. Property Markets Group and S2 Development completed the 68-unit, 49-story luxury condo tower at 17100 Collins Avenue in early 2018. Samuel Curtis Johnson Sr. founded S.C. Johnson & Son in 1886 and through the years the company expanded its household cleaning products portfolio. It owns brands such as Drano, Glade, Pledge, Shout and Windex. The family reportedly has a net worth of $30 billion according to Forbes in 2016. That makes them the sixth richest family in the United States and the wealthiest in Wisconsin. A number of wealthy buyers have purchased condos at Muse. 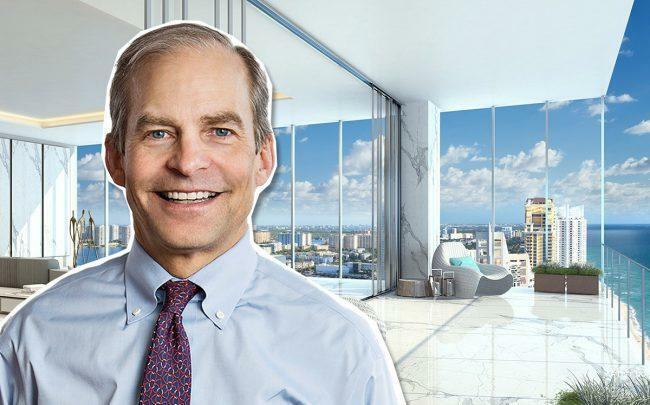 In October, New York real estate investor Irving Langer paid $14.1 million for a penthouse unit. The luxury development features a gym on the third floor, sauna, children’s play room, a residents lounge, outdoor pool cafe and pet services. Dr. Deepak Chopra, a New Age and alternative medicine advocate, designed the finishes for some of the units at the tower. The building was designed by Carlos Ott and Sieger Suarez. Muse Residences was completed at a time when there was and is a large amount of luxury condos in Miami-Dade County, especially in Sunny Isles Beach. The beach town north of Miami Beach is saddled with 17 years of inventory of condos priced at $5 million and up, according to a report from EWM Realty International.